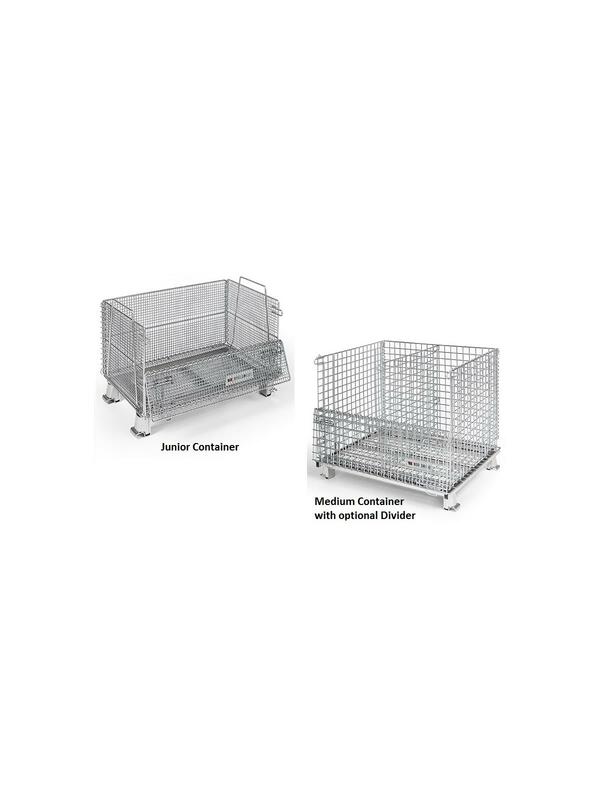 Standard features include a 1/2 front drop gate for easy loading and unloading of product. 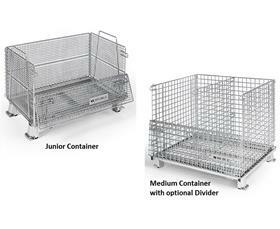 Containers are made with heavy-gauge wire and fully welded base which allows for maximum load capacity. The super strong design allows containers to be stacked 4 high when fully loaded to save valuable floor space. For easy storage, containers are fully collapsible and can be stacked 10 high when not in use. FOB Shipping Point. 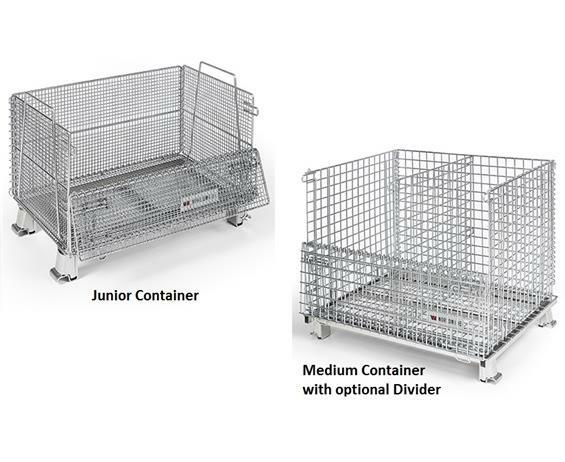 See Related items tab for Worldtainer™ Wire Mesh Container Accessories. 40 x 48 x 42"40 48 42"